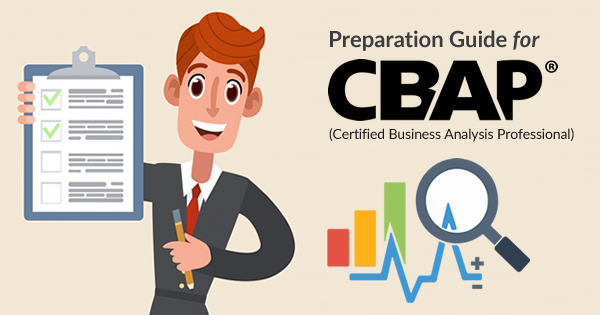 Blog Business Analysis How to Prepare for CBAP Certification Exam? 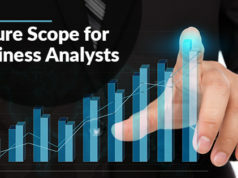 Are you thinking to validate your extensive expertise in the business analysis domain? If yes, just prepare to pass the CBAP certification exam and bring your career one level up. CBAP (Certified Business Analysis Professional) certification is a level three business analysis certification for the business analysts who have an experience of more than 5 years in business analysis. CBAP certification is offered by IIBA (International Institute of Business Analysis) and it demonstrates the business analysis skills of intermediate to senior business analysts. Check your preparation level for CBAP Certification Exam with FREE CBAP Sample Questions. CBAPs are the recognized business analysis professionals who are committed towards their profession. To achieve CBAP certification, one needs to pass the CBAP exam that has eligibility criteria to be followed. Whizlabs offers best-in-industry CBAP practice tests to help you prepare and pass the CBAP certification exam. So, just follow the below-mentioned steps and get ready to begin your CBAP certification exam journey. Who can Apply for CBAP Certification? CBAP certification is the level 2 competency-based certification program in business analysis. This certification exam is intended for the business analysis professionals who manage and lead with the 5 or more years of working experience in business analysis. CBAP is an online web-based and competency-based exam that you can take any time from anywhere. You need to have a computer, microphone, webcam, and working internet connection. You need to have a considerable experience in business analysis domain i.e. 5+ years. So, if you want to validate your business analysis skills and recognize yourself as an experienced business analysis professional, this CBAP certification is for you. There is no prerequisite for the CBAP certification; it means you don’t need to have any other certification to take this certification. If you satisfy the eligibility criteria, you can go for CBAP certification. If you are looking for a go-to-trick to prepare and pass the CBAP certification exam, just read out the BABOK to clear all the concepts, read a few business analysis books, and practice through CBAP practice tests and you will be ready for the CBAP exam. CBAP certification exam is based on BABOK and preparing through that is enough to pass the CBAP certification exam. So, there is no requirement of any instructor-led training if you are a self-study kind of person. CBAP is a competency-based exam so you need to prepare well to before taking the exam if you want to pass the CBAP exam in the first attempt. 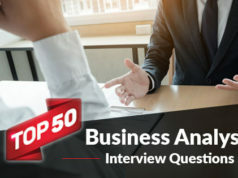 Are you an entry-level business analysis professional? Start your business analysis career and validate your skills with ECBA certification exam. Good preparation leads to good results. So, if you are planning to take CBAP certification, you need to prepare well for that. And for the good preparation, you need to follow the right preparation track. So, after the submission of the application for the CBAP exam, you should focus on the exam preparation. While starting your preparation, the first question that will come to your mind is – how to prepare for the CBAP exam. 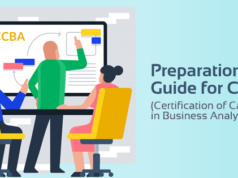 And here is the answer – we bring CBAP preparation guide for you that will make you ready to pass the CBAP certification exam. So, are you ready to start your preparation for the CBAP certification exam? The things you need to get familiar with at the very beginning are – exam blueprint, exam format, and exam information. We’ve already mentioned the exam information and exam format above. So, let’s understand the CBAP exam blueprint i.e. exam objectives of the exam along with the percentage weight. Are you not a self-study kind of person? Go for CBAP certification training! You can choose one of the classroom training, online training or instructor-led training as per your preference and convenience. IIBA EEPs are the CBAP certification training providers, you can choose one near to your location and start training. These training providers will make you eligible for the CBAP exam by providing you with Professional Development hours. When you find yourself prepared for the exam, it is the right time to check your preparation level with the CBAP practice tests. There are many exam simulator and practice tests providers, you can choose one to practice for the exam. Preparing through CBAP practice tests will help you get familiar with the real exam and you will be confident enough to pass the CBAP exam in the first attempt. Whizlabs offers CBAP practice tests that are much like the real exams and prepares you for the actual exam. Following the above-mentioned preparation steps, you will get all ready for the CBAP certification exam. So, it’s the time to take the CBAP exam and earn your certification! Are you a mid-level business analyst preparing for CCBA certification exam? Check your current level of preparation with CCBA practice tests. It is highly recommended to follow a right preparation path to pass the CBAP exam. Besides this CBAP exam prep guide, here are the expert tips that you need to follow during CBAP certification exam preparation. Read the BABOK Guide at least two times along with its referenced sources. Review IIBA Guide to Competency-based certification very well. Go through all the sample questions that are given on the CBAP certification page. Enroll for CBAP online courses and practice tests to get familiar with the exam environment, format, and pattern. Join the CBAP certification training provided by any of the IIBA EEPs (Endorsed Education Providers) to cover your weak areas. Find and read CBAP exam prep books that are readily and widely available. Don’t forget to go through the FAQs given on the IIBA official website that will help you know the important points. Have a discussion on the various objectives of the CBAP exam with your study partners using a number of examples. Be a part of the events hosted by the IIBA in your area; it may help you in your exam preparation. Join study groups and online discussion forums where people share their experience and knowledge, it will help you a lot to have a thorough understanding of the topics. Whizlabs forum is one that can help you in your CBAP certification prep. Don’t only rely on the theoretical knowledge, get some hands-on experience that will make your knowledge and practical application successful. These above-mentioned expertise tips will help you become more confident such that you’ll be able to pass the CBAP certification exam in your first go. Still, have any doubt while going for the Business Analysis Certification? Just go through the list of Top 5 Business Analysis Certifications to choose the right one and go ahead in your career. 1. What is the format of the CBAP certification exam? The CBAP exam is a competency-based exam that consists of multiple choice questions about the given case study. The candidate is given 3.5 hours to complete the 120 multiple choice questions. 2. Is there any negative marking in the CBAP certification exam? No, there is no negative marking in the CBAP certification exam. As there is no negative marking, the candidates are advised to answer all the questions in the exam. 3. What is the required score to pass the CBAP certification exam? IIBA have not revealed any score or percentage marks to pass the CBAP certification exam. But for an instance, it can be assumed that one needs to score at least 70% marks to pass the CBAP certification exam. 4. How much do I need to pay to apply for the CBAP certification exam? To sit for the CBAP certification exam, one need to pay the application fee and the exam fee. 5. What is the CBAP application process? Why is a certification required to grow in the field of Business Analysis? Let’s find out if a Business Analysis Certification really adds value to one’s career! Certified Business Analysis Professional (CBAP) exam is a credential that validates and demonstrates the business analysis skills of a senior level business analysis professional. If you are a business analysis professional with 5+ years of experience, get this certification and boost your career. Whizlabs being a pioneer in online certification training industry brings the CBAP practice tests for you to help you prepare well and pass the certification exam. Whizlabs best-in-industry practice material provides you a real exam like interface. Whizlabs practice tests make you confident enough to pass the CBAP exam in the first attempt. Still thinking? Don’t think much and take the right decision to bring your career one level up. Have any questions related to CBAP certification exam preparation? Write down in the comment section or submit here, we’ll be happy to answer. Hi, is there a way to get a specimen of CBAP application form?